An interview with Andy Worthington conducted on June 18 and 19, 2012 by Anne McClintock for the Columbia Center for Oral History, Rule of Law Oral History Project. Andy Worthington’s career as a freelance journalist began with his investigation of the British post-war counterculture movement and the “Battle of the Beanfield,” a violent clash between Stonehenge Free Festival participants and police in Wiltshire, England in 1985. The project sparked in Worthington a passion for social justice and, eventually, a leading role in the exposure of human rights violations at Guantánamo Bay. 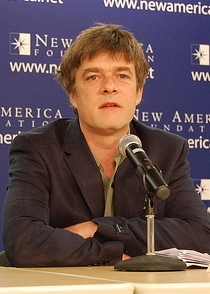 His book, The Guantánamo Files (2007), was one of the first to identify the individuals in Guantánamo’s prisoner population. Highlights of this interview include discussions of the modern definition of a “terrorist,” the U.S. government’s training techniques in, and implementation of, torture in the “war on terror,” the Obama administration’s “kill list” and their use of drone attacks, how drones dissolve battlefield boundaries, and the detention of women and children at U.S. military sites.